Bauer Filter Cartridge 6961 - August Industries Inc. 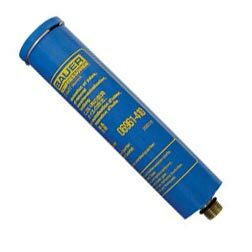 The BAUER 6961 filter cartridge was used in many older filtration systems on BAUER and POSEIDEN compressors. The cartridge connects to the bottom of the top filter head. Cartridge bottom is also threaded to accept an additional cartridge for a “double length” version used on some models.